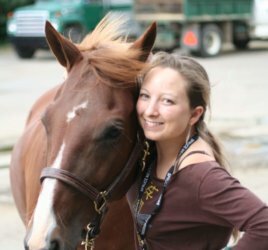 NL – As a result of what you have been learning with your horses these past few years. What are some things that stand out for you? 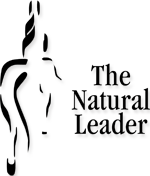 JW – There are similarities between how people and horses learn. 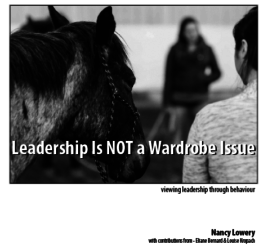 Being able to share relevant stories about my learning journey with horses to new leaders has made me a better leader. People, like horses, need direction but they don’t want to be micromanaged. There is a difference between micro-managing and direction. Micro-managers give the wrong type of leadership at the wrong time. Knowing when someone needs clear direction versus coaching is great leadership. One great example I use is from when I was learning to canter. My instructor told me we’re going to go up a hill and that was all she said. When she and her horse left, my horse took off like a shot too. She hadn’t told me what to do, or how to hold on or what to expect. She just left! Going up a hill at a canter the horse’s back end pushes hard so I was lurching all over. I didn’t know what to do, I didn’t know how I should be holding on. 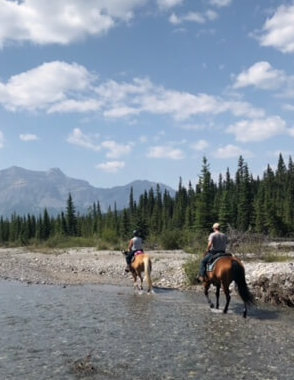 My feet came out of the stirrups and by the time we got to the top, I’d lost the reins, my saddle had slipped and I was almost on my horse’s side. I was a mess! Well — wouldn’t that have been nice if she had told me at the bottom of the hill! That wouldn’t have been micro-management, it would have been appropriate information and good direction for the task at hand. When I use this example with leaders to explain the difference, not only do they laugh but they can easily relate it back to their teams. Horse’s too need the right direction at the right time in order to understand the ask. It has been tough for me to learn that perfect timing on the ask/correction with the horses. NL – What would be the biggest learning you have gained from your horses that apply in the workplace? NL – How do you make sure you are making the connection? That you are speaking their language? JW – Am I speaking in a way that they will understand? Am I saying it in a way they could understand? Are my actions/behaviors and words aligned? Am I providing the context to make sure there is understanding? That is probably the biggest learning. I think we talked about this the day you came out to help me with my horses. You suggested that I was saying something but doing something else with my hands. I was giving my horse two different messages. That is when it became clear to me, “Am I asking in a way my horse could understand?” That translates to “Am I talking to my team at their level and context or mine and hoping they figure it out.” That is probably my biggest learning. Trust is by far the most critical. It takes time to build and can be lost easily in the workplace. Horses are more forgiving. Loosening my grip on the reins and letting the horse do what she has been trained to do. Run up a hill, maneuver through a river or descend. I have to trust they know what to do. NL – How does that show up in the workplace? JW – You’ve given your team the tools to succeed. If you’ve done that you have to allow them to do what they know how to do, reminding myself it doesn’t have to be the same exact way I’d do it. Loosen those reins and trust. I had a friend out visiting last summer, we went for a ride. He said: “The most interesting thing about watching me on the horse was I let go of my “intensity to plan”. I had to be present and calm. He was right! I am constantly in my head thinking, planning and trying to control everything that could happen. I constantly anticipate everything that could happen so I can make sure there is a positive outcome. I have learned that the energy I bring to work I can not bring to the horses. That frenetic excitement and intensity does not work. It is not always necessary with my teams either. I’m an intense person that loves to work and get stuff done. I’ve learned how to use that intensity and when not to use it. Now I can turn it off. I believe working with horse has accelerated my learning. When I am with my horses it’s good to know how to do something and I have to be able to identify when I need to do something but I can’t sit there anticipating every complication. I have to be present and trust that in the moment I will make the right decision or take the right action. It’s so polar opposite to what I’ve done my entire career. Identifying that has been remarkable. NL – Are you finding you can get out of your head better now with horses. Because you let go of that anxiety at the gate? JW – Ha No – sometimes it takes me half hour to let go, I work in a very fast paced environment so it takes a bit to let go. I can’t walk in and saddle the horse up and get on. I have find a way to engage the horse, each time I am with them. I have treat each day as a new day. Restart. I am still learning so nothing is a habit yet. NL – What is the one thing you believe others could gain working with a horse? A fly can move a horse. So can a human but what is the way you are choosing to do that. What am I giving off? How am I asking? NL – Would you say that relates to you? JW – Anyone that knows me from 10 years ago would say I’m way more relaxed these past 3 years. I’m a high adrenaline person my horses tell me I can’t bring that energy into the pasture. They don’t want anything to do with me if I arrive with a frantic energy. I have to let go of that before I get on a horse. I do that with the team now as well. They will take on the emotion of the leader and that is now how I want them coming into work. NL – you say initially getting horses was your husbands idea. What would he say has changed about you in the past few years? JW – My calmness around the horses – my passion for them and how much I am attracted to being with them. I do not think he actually thought I would like it as much as I do and that it would have such a broad impact on my outlook. I also don’t think he realized that they would become just a big part of our lives. It is something we do like doing together too. Thank you Janice. 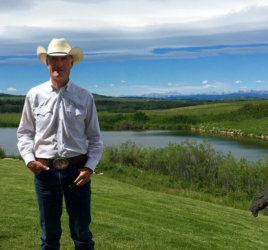 It has been a pleasure to ride along with you, check in on your journey and hear the learnings you have gained about leadership through your experiences with horses. Your passion is clear!